Hey everyone, here is a painting I did for my Illustration class. It was an assignment to create a children's storybook page. This one is 11" by 18". It is done with Gouache paint on illustration board. 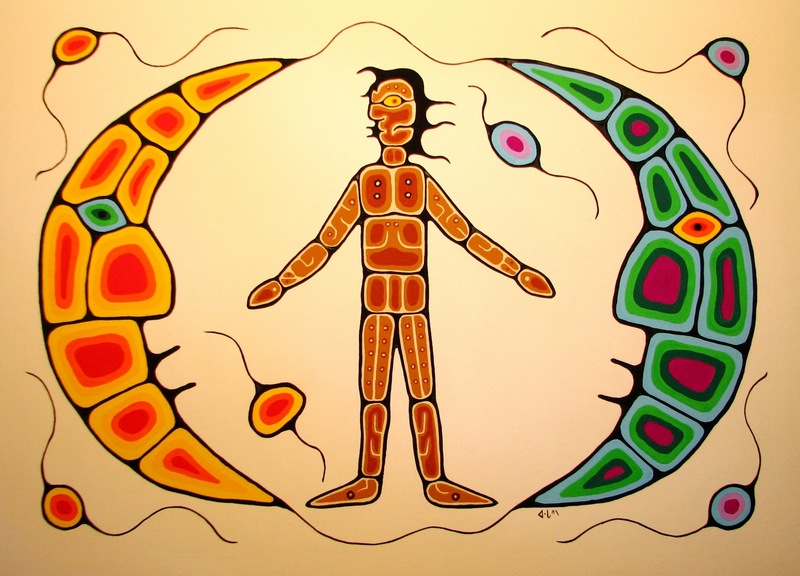 It was inspired by a Cree legend about the Origin of the moon. The legend is written below. The daughter looked after the camp. She kept it clean and tidy. When she shook the feather bedding, the feathers would fall to the earth as snow. The son hunted and fished. When he hung his nets to dry, droplets fell to earth as rain. The father would be away. All day he kept the great fire, burning on the sun. He was very old. Soon he would leave his children, never to return. He said to them, "When I die, you must keep the fire burning, or else the people and animals on earth will die." One day when the fire was low on the sun, the father came home tired. He said, "Children, my children, my children. I have to go. I will never return." The children cried and mourned. They knew he would die. the fire, I am older," said the sister. "No, I am the man, I will do it," said the brother. They yelled thus to each other. The people on earth began to worry, saying, "Why is the sun so late? It should be up by now!" Wesakechak went to the sun to see what was the matter. When he arrived, the boy and his sister were still quarreling. Wesakechak was angry. "The People and animals will perish," he said to them. "It is up to you! You keep the fire burning," he told the boy. "Your name from now on will be Pisim." To the sister he said, "You, too, will work as hard as your brother. You will keep the fire in another place. You will work at night. You will be Tipiskawipisim, the Moon. The two of you did not get along. As a punishment, you will see each other once a year. For all time, you will see each other from across the sky." And so it happened. Even now it is so.